Drusilla “Dru” Ann Martin (Krites) passed away after a courageous fight on March 29, 2019, at the age of 53. She met Bill Martin while working a summer job at Scranton’s Cardinal and they married on July 25, 1987. The couple welcomed their first 2 kids shortly thereafter as Dru began her nursing career. She served patients for 3 years as an RN at Joint Township District Memorial Hospital in St. Marys and 10 years as a PACU RN at Wilson Memorial Hospital in Sidney, OH before stepping away to raise their 3rd child in 2001. A little more than 2 years later, Dru was diagnosed with angiosarcoma, which she battled for the last 15+ years of her life. 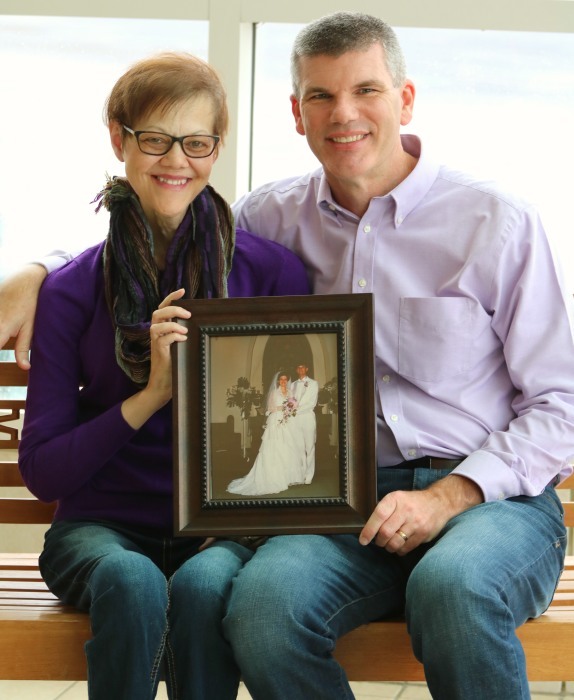 Though cancer played a large role in her life, it never defined her. Dru was known to those who loved her as being deeply caring, passionate, and full of life. She cherished being a mother to her three kids, a grandmother to her two grandsons, and a wife to her husband of 31 years. She loved cappuccinos, peaches, pecan pies, the color purple, and playing games with family and friends (she was especially good at Balderdash and Scrabble). She was extremely sentimental and known for constantly taking pictures in order to remember every moment. She was a night owl and spent many nights talking and joking with her sons late into the night. As a former nurse, she enjoyed helping family and friends navigate medical issues and health concerns. Though cancer was not her friend, it did offer her one precious gift. It gave her the gift of knowing more than most what it means to treasure every moment and every relationship. Even in her sickest and most painful times, she treasured being alive in order to spend more time with the people she loved. All who knew her recognized the zeal with which she pursued each new day. While Dru has been freed from her damaged body to be with her Creator, the world has lost one of the most beautiful souls it has ever known. Dru is survived by her husband, William “Bill” Martin; children, Zac (Katelynn), Andrea, and Alex Martin; grandchildren, Caleb and Will Martin; parents, Richard and Dorothy Krites; sisters, Doretta Nale, Diana (Paul) Zink, Donelda Gibson, and Dorabelle (Steven) Kysenceder; and many nieces, nephews, aunts, uncles, cousins and friends. A public viewing will be held from 3:00 PM to 8:00 PM on Friday, April 5, 2019 at Miller Funeral Home, 1605 Celina Rd., St. Marys, Ohio. Her Celebration of Life will be held at noon on Saturday, April 6, 2019 at Wayne Street United Methodist Church. The burial will be at Greenlawn Cemetery in Wapakoneta. A reception will follow at Wayne Street United Methodist Church. Jon Kraner and Tim Benjamin will officiate the ceremony. All are welcome to attend and wear purple to celebrate Dru’s life. 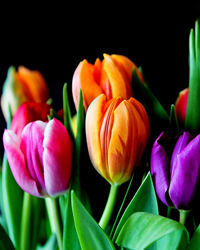 In lieu of flowers, please send donations to support angiosarcoma research at cureasc.org or addressed to Angiosarcoma Awareness PO Box 4919, Portland, ME 04101 or State of the Heart Hospice. The family would like to thank the numerous doctors, nurses, and caregivers that have cared for Dru and all who have supported her and her family over the years.